Facebook is asking shareholders to approve the creation of a new class of stock that's intended to "encourage Mr. Zuckerberg to remain in an active leadership role at Facebook," the company said in a statement. If shareholders approve it, Zuckerberg is likely to remain the central force behind Facebook for many years to come, in terms of both management and ownership. There was no reason to think he planned to leave Facebook any time soon, but the new class of stock will allow him to keep "founder control" of the company even if the proportion of shares he owns is reduced. "If this proposal goes into effect, we’ll get to keep improving your Facebook experience the way we do today," Zuckerberg said in a statement. "And over the long term, I think you’ll have better services and be part of a stronger community as a result." The move could be an important one for Facebook's future. Other companies have sometimes stumbled when their founder has given up day-to-day control or ownership to pursue other interests. "Facebook has been built by a series of bold moves," said Zuckerberg in a conference call with analysts. "When i look ahead, I see more ahead of us than behind us." 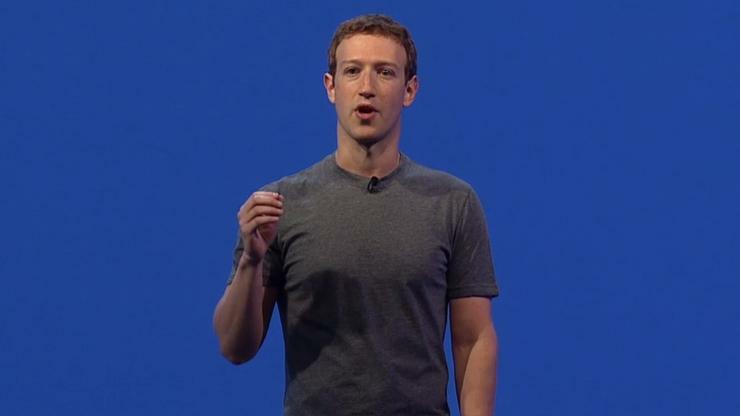 In recent months, Zuckerberg has been focused on integrating video more deeply into the Facebook timeline. The company has been working on attracting both users and media companies to share more video and, through its ownership of Oculus, is pushing ahead with virtual reality content. At two recent conferences, Zuckerberg has said he believes video is the future of Facebook and he believes users will use the technology to capture the special moments they proudly post. In his case, he plans to capture the first steps of his child in virtual reality. And recently, the company debuted a new livestreaming tool. Facebook is becoming more and more about the mobile experience. In the first three months of this year, 9 out of 10 Facebook users accessed the service through a mobile device, up from around 85 percent this time last year. 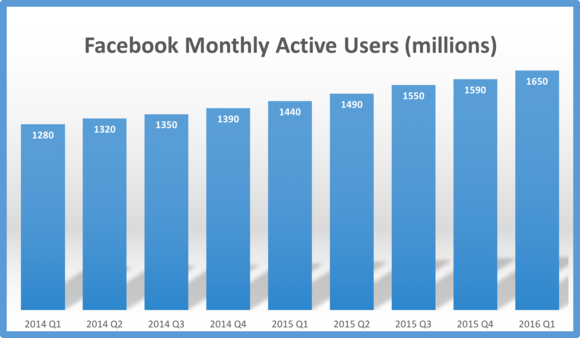 Facebook attracts 1.1 billion users each day. And all those eyeballs add up to more money. In the first quarter, Facebook said revenue hit $5.4 billion, up 50 percent on the same period of 2015. Net profit almost trebled to $1.5 billion. Zuckerberg signaled his intention to get more deeply involved in social issues through the establishing of a company, the Chan Zuckerberg Initiative, with his wife to invest their wealth to "advance human potential and promote equality in areas such as health, education, scientific research and energy."